We are now open all afternoon for drinks, teas, coffees and delicious cakes! Soushi is located in the heart of Cirencester, just minutes from the historic market place, in the Old Post Office development. Our small and intimate interior make it a unique dining experience, with al fresco dining available during the summer months. 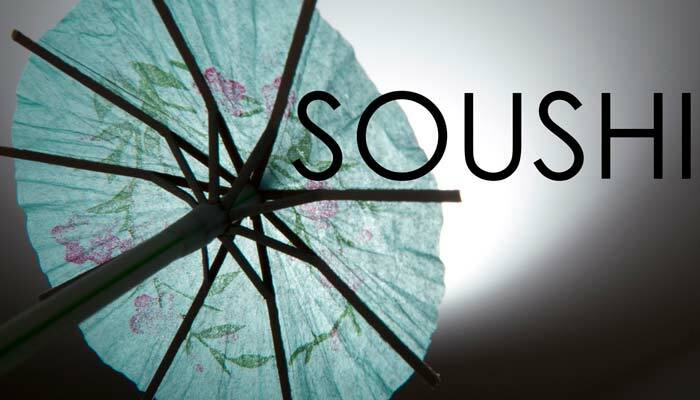 Opened in November 2009, Soushi has been bringing a real taste of authentic Japanese cuisine to the Cotswolds. Our small, carefully considered menu offers a variety of hot and cold Japanese cuisine to suit all tastes. Our lunch menu which amongst other dishes features our famous Bento Box, offers a healthy option for those looking for a quick turnaround, whilst our evening menu gives the opportunity to enjoy a more extensive menu for those with discerning tastes. We offer a variety of hot and cold take away options, and with prior notice we can organise deliveries. For those who find the prospect of Japanese food rather daunting, all our staff have a comprehensive knowledge of the menu to assist you with your choices.